We provide a range of staff Fire training services for your business. Staff fire training is an important part of an employer’s obligation to the personnel working in any facility related to the business. This includes educating the staff about all the hazards present to them while working in that facility. It is mandatory for the business to inform their personnel regarding the level of risk that they could be exposed to in case of a mishap. This is particularly important for facilities where fire hazard poses a significant challenge. The staff fire training should be repeated as and when any new guidelines are introduced for the health and safety of the personnel. that their staff is well aware of the basic fire safety requirements. In the staff fire awareness course all the personnel working in the facility are provided with training on techniques to reduce the fire and actions to be taken when a fire alarm is triggered. These staff members are also taught the necessary things that need to be done on discovering a fire. The instructors delivering these courses are highly qualified with requisite experience in fire prevention and safety techniques. Through these staff fire training courses the staff members are taught the operational procedure for using the fire extinguisher. 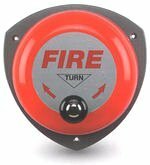 They are made aware of the various standards, color-coding, and extinguisher capabilities. The staff members are made to go through a mandatory health and safety briefing session telling them to watch out for certain key signs to determine fire and raise an alarm. Once this is done, staff members are put through fire action routines testing their knowledge about the things learnt during the course using situational practice techniques. The staff members are also shown the exact way of using a fire blanket by dousing the fire on a dummy object. The basic focus of the staff fire-training course is to combine theoretical knowledge with practice in similar situational set up, to make everyone in the business facility understand the need for fire safety. Are you interested in Staff Fire Training for your personnel?